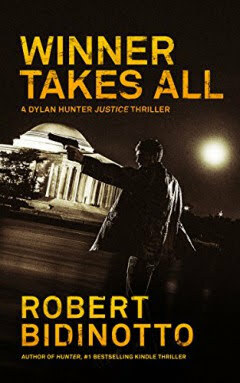 This is an excellent book your Bookhorde readers might like: Winner Takes All by Vigilante Author, Robert Bidinotto. This is his third Dylan Hunter Justice Thriller. 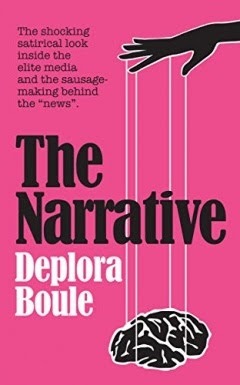 The previous installment was CLFA Book of the Year in 2014, and this one - I think - is even better. But then an intrepid investigative reporter is brutally, mysteriously murdered. A visionary presidential candidate is targeted for destruction. Soon, Hunter's investigation puts him in the cross hairs of a power-hungry billionaire and a cold-blooded assassin. Camouflaged by "fake news," a deadly conspiracy of Russian spies and American traitors aims to install their puppet in the White House. And these predators will do the unthinkable to bring America under their total control. The stakes -- political and personal -- couldn't be higher. Because to stop them, Dylan Hunter must make an irrevocable choice. He must revert to his dark, secret life as a violent vigilante, waging a one-man war against the corrupt and untouchably powerful. It's a decision that will, finally and forever, seal his fate . . . including his future with the woman he adores. 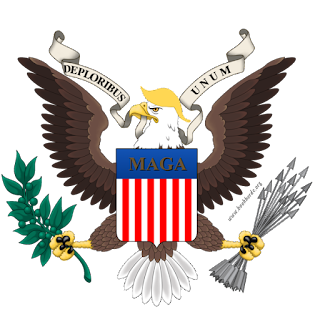 In the tidal wave of political violence sweeping through the blood-soaked streets of Washington, D.C., the final outcome will be . . . The first book in the Dylan Hunter series is Hunter and the second book is Bad Deeds. Winner Takes All is free to read for Kindle Unlimited subscribers. If you want to see if subscribing is right for you, can get a Kindle Unlimited 30-Day Free Trial. Thanks much for posting about this new release. I hope your readers enjoy my tale of a vigilante bringing justice to the high and mighty in Washington, DC.